Letter from W. J. 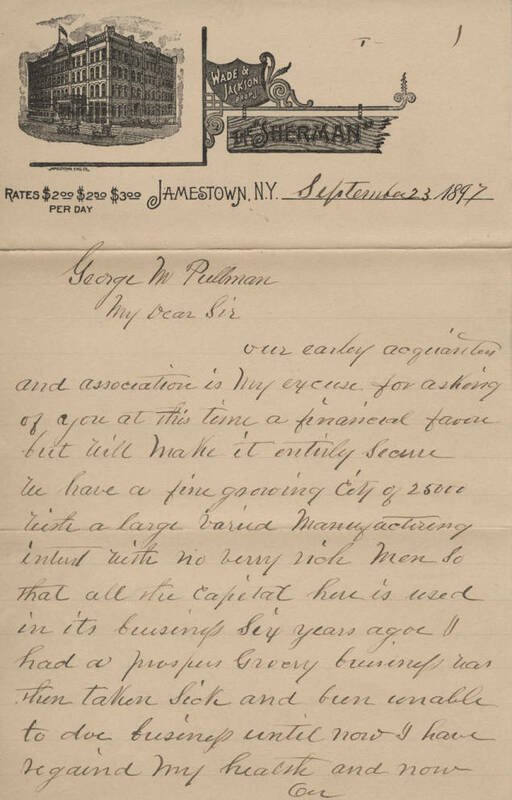 Weeks, requesting Pullman consider purchasing some property in Jamestown, New York. 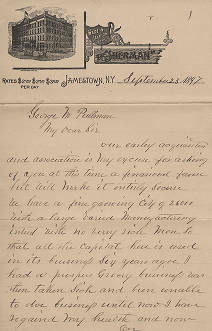 Description Letter from W. J. Weeks, requesting Pullman consider purchasing some property in Jamestown, New York.